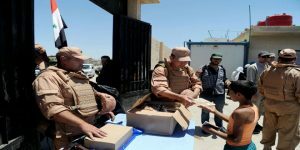 Damascus Countryside, SANA-Humanitarian aid from Russia was distributed on Thursday among the displaced families who are currently residing in makeshift centers in the town of Jdaidet Artouz town in Damascus countryside. 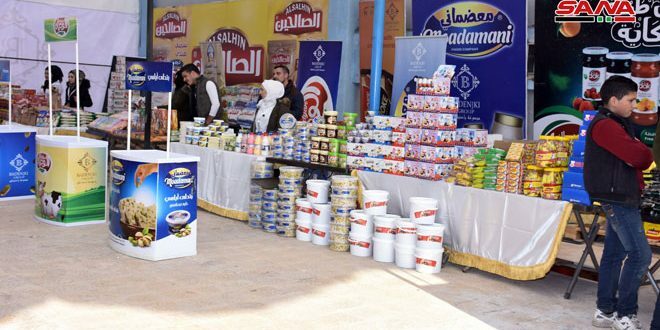 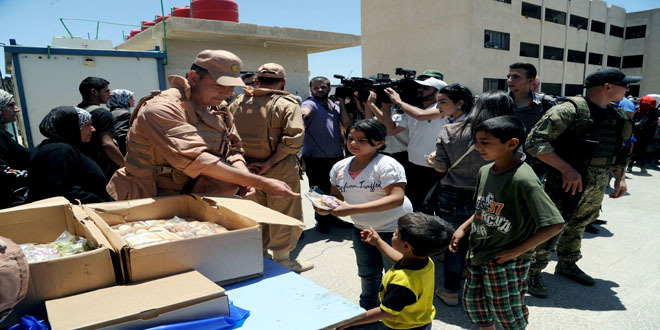 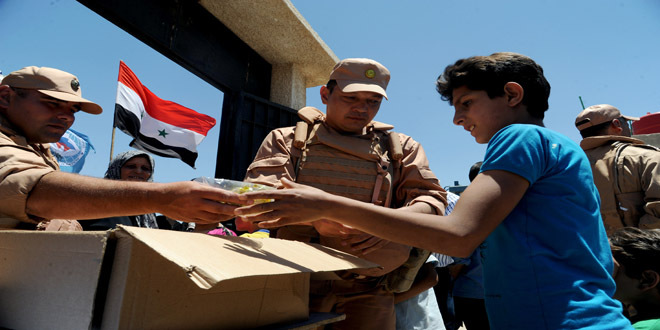 The aid which consists of food materials was distributed in cooperation with Damascus Countryside governorate. 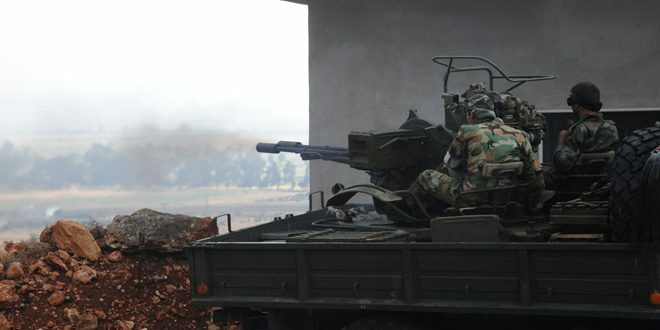 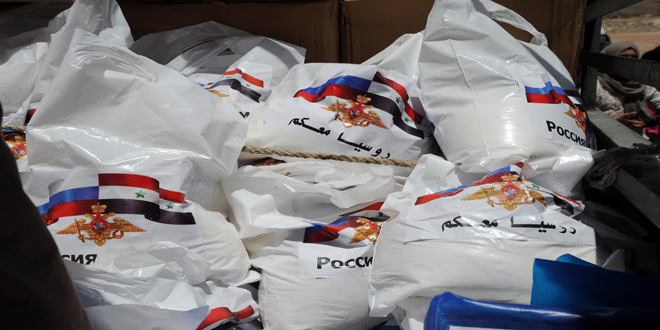 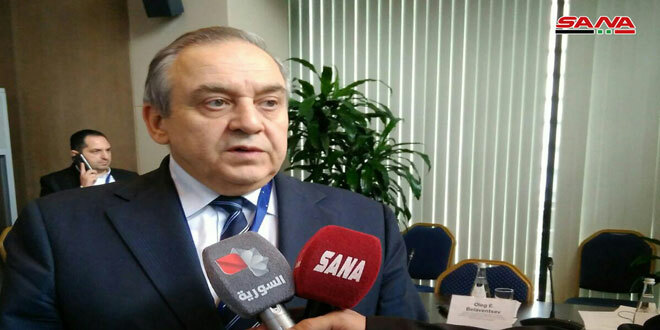 Representative of Russian Coordination Center in Hmeimim said that 2.5 tons of aid provided by the Russian government was distributed among the families in Jdaidet Artouz area to alleviate the effects of the crisis on the Syrian people and to promote the local reconciliation process. 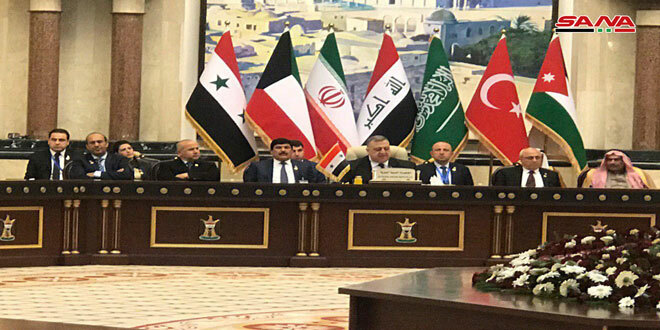 For his part, Munir Shaaban, member of the executive office of Damascus countryside governorate said that the Relief Sub-Committee, in cooperation with the Syrian Arab Red Crescent (SARC), will continue to distribute relief aid to those affected by the terrorist war on Syria, hailing the Russian efforts in providing humanitarian aid and supporting the local reconciliations. 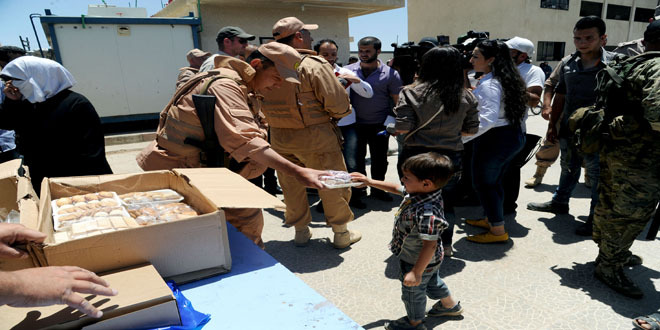 Along with the distribution of aid, a Russian medical team offered medical services to a number of patients.